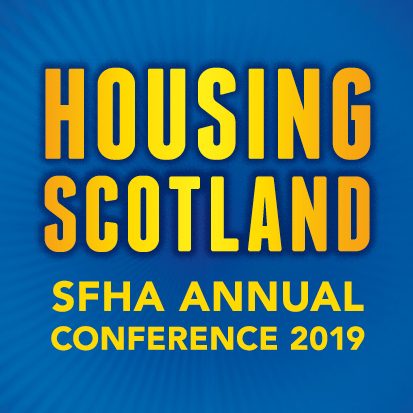 Round-up of this week's SFHA member news. Queens Cross Housing Association has been nominated for a prestigious award. The association is delighted to be shortlisted for Outstanding Landlord of the Year at this year’s UK Housing Awards. Organised by the Chartered Institute of Housing (CIH) and Inside Housing, the awards recognise the ingenuity, creativity, passion and results of housing organisations across the UK. Thenue Housing will spend £4 million constructing 22 properties in the Netherholm district of Castlemilk. Glasgow’s First Citizen has cut the first turf signalling the start of a £5 million investment in Castlemilk. Lord Provost Sadie Docherty was invited by Thenue Housing to a special ceremony to mark the start of work on new homes and a community centre. The redevelopment and modernisation of a Dundee housing estate was announced last week. The Ellengowan estate was built in 1925 and, although popular with tenants, the homes fall below modern standards. After detailed consideration of both refurbishment and redevelopment options for Ellengowan estate, together with the valuable feedback from residents, the Northern Housing Company Board has decided that redevelopment is the preferred option. Northern Housing Company, who owns and manages the Mid-Market tenancies at Ellengowan Drive, is part of the Hillcrest Group of Companies. Eildon Housing Association is looking for people with the right skills and experience to join its board - have you got what it takes? Eildon Housing Association is a leading housing and care provider in the Scottish Borders, with over 40 years’ experience of serving our local communities. It has an ambitious strategy and is looking to develop a record number of new homes over the next five years as well as develop new and improved services. it is looking for people with the right skills and experience to join its Board to help it build on its success. If you are committed to excellence in the provision of housing, care and support services, and are motivated to play a leading part in a forward looking charitable organisation, Eildon would like to hear from you. Booking is now open for the Starter Packs Networking Event 2017, the annual event organised by Scottish Churches Housing Action and CRNS (Community Resources Network Scotland). The event will take place at Stirling Baptist Church on Wednesday 15 March from 10am to 3pm. This free event is for committee members, volunteers and staff of starter pack schemes for homeless people and for those interested in developing this in their area. This year, the event will be opened with an address from local Green Party MSP Mark Ruskell. An MSP learned how Cube Housing Association tenants in Knightswood are keeping warm while saving money on fuel bills. Bob Doris MSP, Convenor of the Scottish Parliament’s Local Government and Communities Committee, visited Cube’s innovative district heating energy centre in Gorget. He also met tenants who have been benefiting from the low-carbon ‘biomass’ heating system since it was completed last year, with the help of £1.1 million of funding from Glasgow City Council. The central energy plant, near Gorget Quadrant, delivers on-demand heating and hot water to 96 homes. It was delivered in partnership with British Gas.